In this month’s release of JPRS Reports, 1957-1994, we’re exploring psychology—dark & light, hortative & theoretical, aspirational and actual. On a road in Rastenburg (now Ketrzyn), Poland, past the wild swans and the birches, the Polish Society for Tourism and Home Lore erected a sign leading travelers to the “Wolf’s Lair.” Upon arrival in 1963, for the price of ten zloty the curious visitor could tour the numbered ruins of the massive complex of reinforced concrete which served as Adolf Hitler’s headquarters from 1941-1944, where the Fuhrer narrowly escaped an assassination attempt. The presence of schoolgirls and wild strawberries are noted among the graves and mine fields in this short, poignant report. 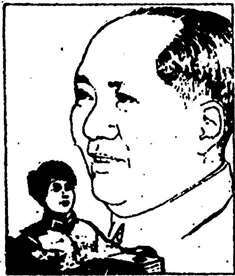 Lei Feng was literally the poster child for Chinese communism beginning in February 1963, although there is disagreement as to the existence of the actual person depicted. Some of the visual details were lost during the reproduction process, but there’s still a great deal to be learned through the captions and especially the numerous cartoons. 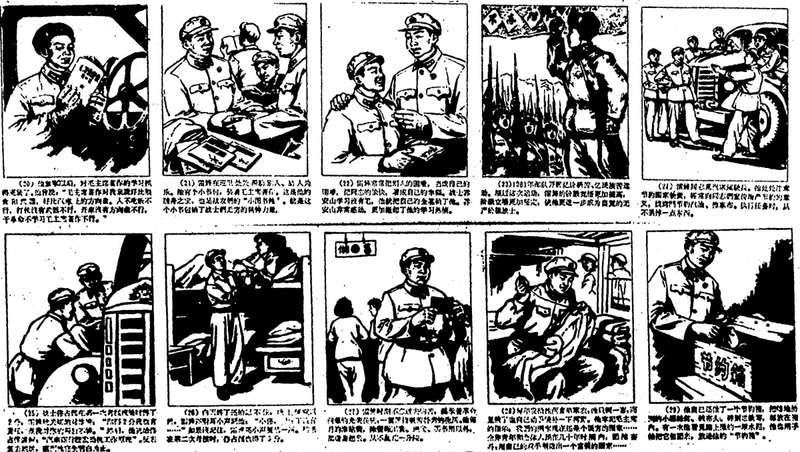 If you’ve seen this Chinese Everyman once, you’ll recall having seen him a thousand times, which was the point, after all, as he was held to be the best guide and highest realization of the ideal communist citizen. In that land where the hammer & sickle were enshrined on its state flag, there was a lively discussion in 1964 regarding the legitimacy of the “intelligentsia” in “intellectual and spiritual” production. The reader will search the iconography of the Soviet Union in vain to find any popular images of Lenin clutching a slide rule in his massive fists. Considering the earthy lineage of communism, it’s not surprising to find the Soviet Union questioning the proletarian authenticity of those whom we would describe today as “knowledge workers.” This report seeks to resolve the tension between the Soviet adulation of the scientist and the Leninist ideal of the tiller of the soil. 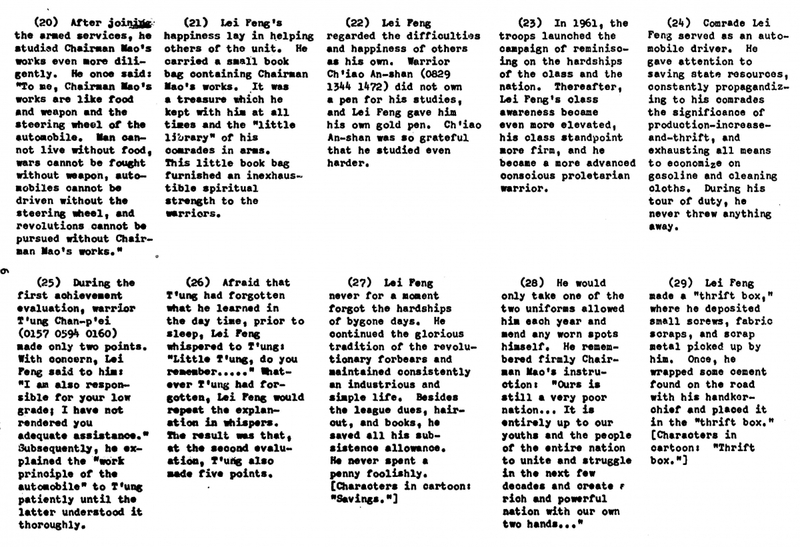 Whether at the extremes of personality typified by Hitler and Lei Feng, or in the social characterization of the scientist as proletarian, the celebrated I.P. Pavlov would claim at the foundation lie differences in “basic models of behavior,” here termed temperament. In his work with dogs, Pavlov distinguished the dichotomies of strong/weak; balanced/unbalanced; lively/quiet, and derived four neurological types: sanguine; phlegmatic; choleric; and melancholic. The author here extends Pavlov’s insights to a study group consisting of tenth-grade boys, in great detail, in 59 pages.